Scroll through our program schedule below to see our current content offerings. 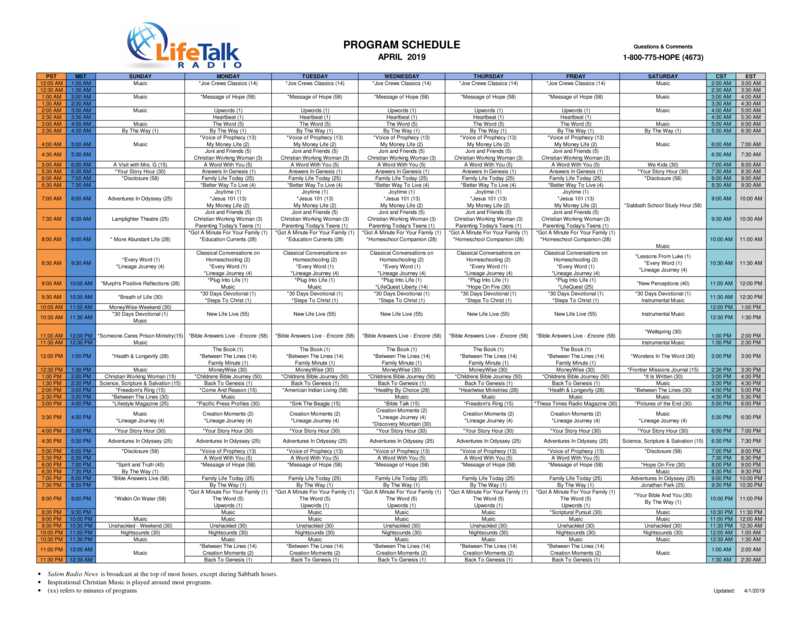 Please note that this program schedule is subject to change. Also, your comments and suggestions in regards to our programming are always appreciated. To submit feedback, simply visit our Connect page.